Kinvert is all about STEM education so we wanted to talk about story time reading robots. We programmed Cozmo and Vector for this and discuss others also. Why Story Time Reading Robots? There are many reasons that text to speech reading robots are great. Story time is important. Learning tools can help kids read. The reason that directly drove me to program Cozmo and Vector to do story time reading is for our (at the time of writing this) 4 month old son. Lots of research indicates that after genetics and breast feeding, one of the other top indicators of future success is how many words a child hears per day. The shocker for us, was that research indicated it mattered a TON even before the baby turns one year old. Though he spends most of his time pretending to be a potato, apparently he is taking in a lot and needs to hear us speaking. With me running Kinvert and my wife still having a full time job as an Electrical Engineer, we don’t have as much time as we wish we did to talk to him. So, being the person I am, I took an afternoon to create the initial prototype program to make Cozmo and Vector read to our son (who is now crying upstairs with his Mom). Actually, I’m going to leave that wording in lol. Crying WITH his Mom. I like that. This is one he won’t need for a while, but I also intend for this to be a tool to teach reading. I have already added in the basic functions so that Vector and Cozmo can display the text Robot. 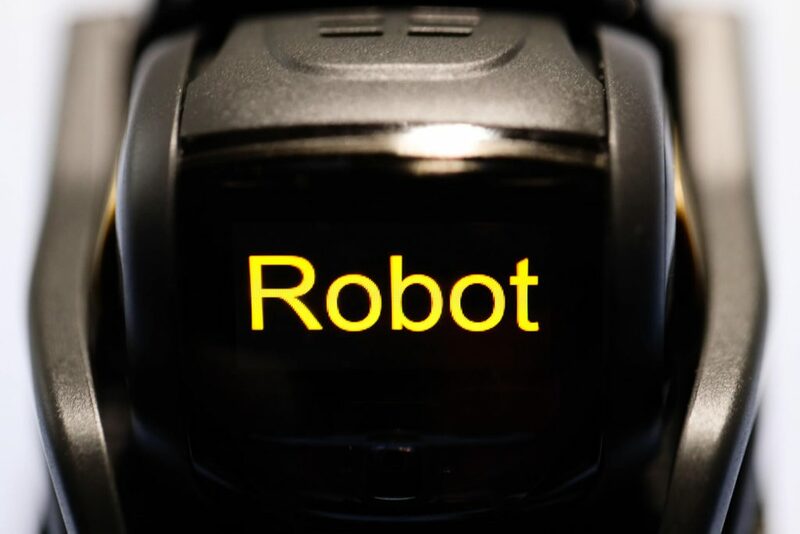 While that is displayed, they will read “R – O – B – O – T – Robot”. It will be easy to add those bouncing balls that show which letter we’re on. Other functionality can be added such as having Vector or Cozmo say a word, then have the child type the word in to the command prompt to be checked. So it can also teach basic spelling. Anyway long story short, another reason I programmed Cozmo and Vector to be story time reading robots is so they can teach reading and spelling. Pictured above is Vector playing the part of a scary witch in a story he is reading. As you may have guessed by now, we programmed Cozmo and Vector to do this. The program was written in Python, and can take in basic txt files. A markup language was created so people writing or modifying stories can easily add in moods and animations. It is simple to switch between basic reading, and displaying text and waiting for the child to read before the robot reads the text aloud. There is also the ability to display pictures on the robot’s screen while reading the stories. Overall I think this is pretty cool and we’re excited to release it. There is an existing storytime reading robot which is called Luka. We don’t have one so I can’t really review it. But the idea is pretty cool. They say you can take your existing books, point Luka’s camera at the book, and Luka will read the text it sees out loud. I think it’s definitely something worth looking in to. If you have one, please let us know what you think of it in the comments below. We’ve also started a fun math program for Cozmo and Vector. I have great memories of an old Math toy. We’ve started a program to turn Cozmo and Vector in to Math learning buddies. 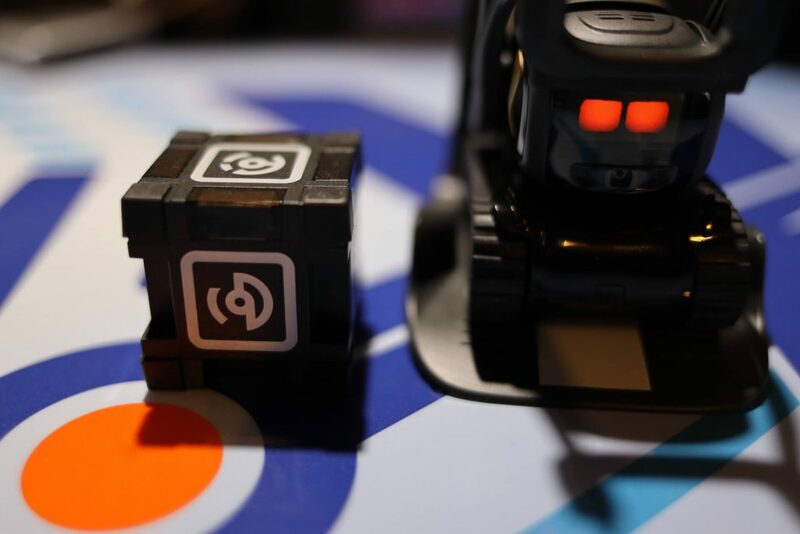 We have lots of articles on Cozmo and Vector. The main ones to check our are Cozmo Vs Vector, programming with the Cozmo SDK and Vector SDK. Finally for Cozmo and Vector we wrote many Cozmo Examples and Vector Examples in Python. Though we focus a lot on Python we realize a lot of people don’t have Python experience. If that’s you, check out What is Robotics, Block Coding, and Age to Teach Kids Python. If you want to stay up to date with Vector, or STEM Education in general, you should consider subscribing to our mailing list. You can unsubscribe at any time.